The Boston Celtics were on a three-game losing streak aiming to get back to winning ways. In contrast, the Portland Trail Blazers were high on confidence riding on a three-game win streak and were only looking to extend it. It was a one-point game at the half time with Portland taking the lead. 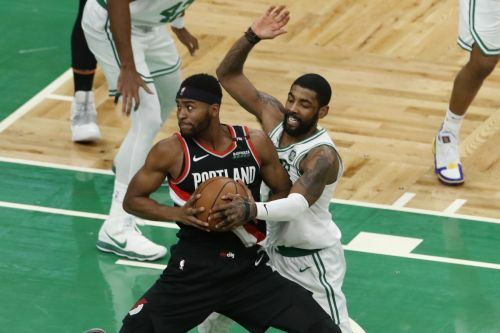 However, Lillard's third quarter exploits completely changed the situation in favour of the Blazers and they kept the momentum going into the fourth quarter to take care of the business. With this win, the Blazers have swept the regular season series 2-0. 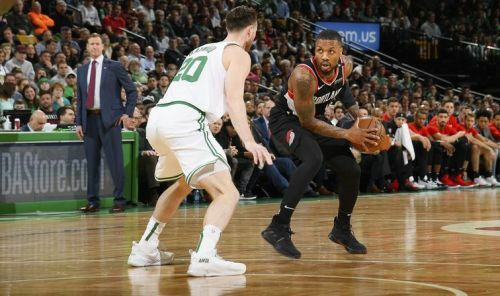 In this article, let us take a look at three talking from the Blazers' win over the Celtics . As great as Kyrie Irving is, he alone cannot win you basketball games. At least, not against tough opponents like Portland Trail Blazers. Basketball is a team sport and you need your players to support your centrepiece. Irving has been the only player showing up for the Celtics for quite some time and it is time the others showed up. The 26-year-old had himself a night as he scored 31 points to go along with 5 rebounds and 3 assists, an impressive 58.3 percentage. While players like Marcus Smart and Jaylen Brown did show up and had a decent night, the rest of the roster were not very impressive. Tatum had only 14 points and struggled from the three-point line. The Celtics' players definitely need to introspect and start being more consistent if they want to give themselves a chance of making it to the playoffs.